Summer is truly here, which mean ironically that it’s time to start thinking about where to go ‘boarding or skiing if you’re a winter sports addict. There are a number of quality apps available to use before and during your winter ski holiday. We take a look at some of the best. Ski Tracks is a ski navigation application that uses GPS technology to record the areas you ski. Using special algorithms this app allows you to retrace your skiing using Google Earth. Looking back you can check where you picked up your fastest speeds, find out what height you were skiing at during the day and find how far you have actually skied. Unlike most ski tracker apps, Ski Tracks doesn’t not require a phone signal for tracking either, so you can enjoy the day without worrying about data costs. This list wouldn’t be complete without a piste map application, and this is one is the best map apps on the market. With all the major resorts in Europe covered, this app (using GPS again) can pinpoint your exact location on one of its pre-loaded piste maps. The app will also allow you to send your location to friends allowing you to meet up for lunch or show off the best snow around. Ski Club’s Snow Report application is the simplest and most reliable snow report app out there. Ski Club run their own snow report online on their website, and the same information is streamed onto this app. The connections are quick and there’s a function to save your favourite resorts and organise and store useful snippets of data for later. Another useful function is the “Snow News” section where big snow falls are recorded and forecasted, making this app useful when planning your ski holiday. Information and report apps are great, but actually being able to see the weather and snow conditions can really make a difference. Whether you’re in resort and want to see what the conditions are like up top, or just lying in bed after a hard night, this app allows you to see what’s going on without a great deal of commitment. This is a guest post by David Pearce, a computer science graduate & ski instructor from Colorado, USA. 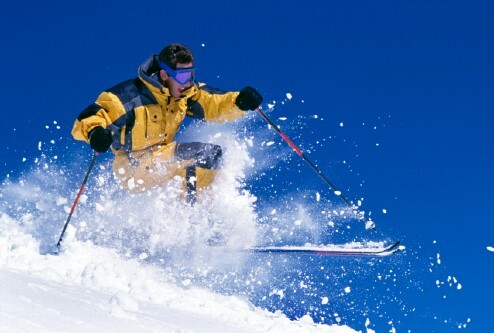 David is currently working in the UK as a sales advisor at catered-ski-chalets.co.uk , a UK ski holiday company.